As algorithms in medicine become more widely accepted–as they now are in other disciplines–they will eventually become ubiquitous. The need for increased efficiency, cost containment, and improved quality will be key drivers. As demand increases there will be a need to remove barriers that currently limit access. This means that clinicians will encounter algorithms more often and in different contexts. Some simple equations for state descriptions are already readily available. Examples are body mass index (BMI) and the glomerular filtration rate estimated from the serum creatinine (eGFR). These require a limited amount of data and can be applied to almost all patients. These have already been widely implemented in electronic health records (EHRs) and now are taken for granted. Some algorithms are widely applicable but require more data (numerical or codified) that is readily accessible. These are ideal for autonomous execution whenever the data becomes available. They may also be able to generate orders for tests that are needed for completion. To be successful these have to execute at appropriate times to avoid alarm overload. One such example is a nutrition screening algorithm for hospitalized patients which if criteria are met, can automatically generate an order for a nutritionist to consult on the patient. Many algorithms require one or more pieces of complex data or address specific problems for limited populations. These may need to access multiple information streams and may involve difficult problem-solving. These would be ideal for use at a physician workstation. The need here is for situational awareness that would recommend algorithms based on the patient, physician preferences, therapy or clinical situation. These algorithms would support and automate clinical consultations, acting as a digital assistant. This may help physicians identify certain modifiable risk factors that may have otherwise been overlooked, thus improving patient care and patient safety and reducing risk for re-admission. An example of this type of algorithm is the Birmingham Score for Predicting Risk of Stroke and Thromboembolism in a Patient with Atrial Fibrillation. One specific extension of the physician workstation involves use of telemedicine. These encounters can be challenging and may evoke a number of medico-legal issues. Emerging technologies that enable physicians to perform certain examinations virtually are an important component of successful telemedicine integration. Algorithms can help to avoid problems by quickly providing relevant content and by monitoring the encounter for deficiencies. An algorithm which can be used in this manner is the CDC/NHSN Criteria for Bronchitis, Tracheobronchitis, Bronchiolitis or Tracheitis. Algorithms can serve as educational tools, either to answer (“look up”) specific questions or for didactic purposes. Educational use may involve historical algorithms where the understanding of a concept may be the goal. Algorithms can be used to reinforce training or supplement gaps. Finally, the interaction between physician and patient will be altered by the availability of algorithms. Physicians are already prescribing medical apps for patients with chronic conditions. Patients are generating large amounts of data from their wearable and testing devices. 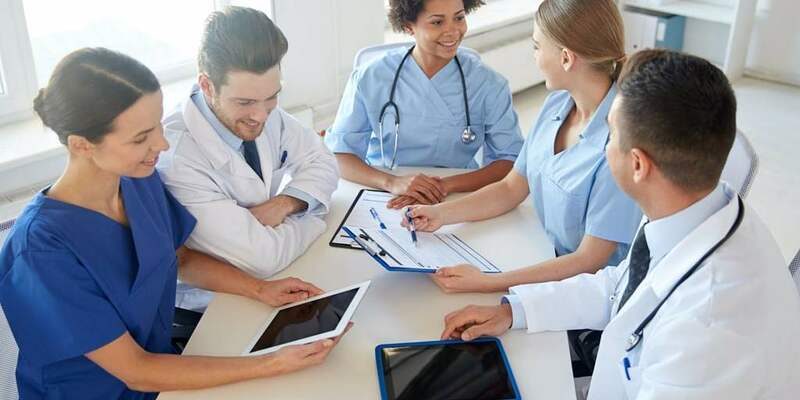 Physicians are often overwhelmed trying to make sense of this unstructured data, and many would welcome an algorithm that could quickly identify important findings that would otherwise be overlooked. The potential number of medical algorithms is enormous. As they become more integrated into everyday clinical practice, there will be many ways to encounter and interact with them anytime and everywhere. The ubiquity of medical algorithms will create a very rich experience that can improve healthcare.